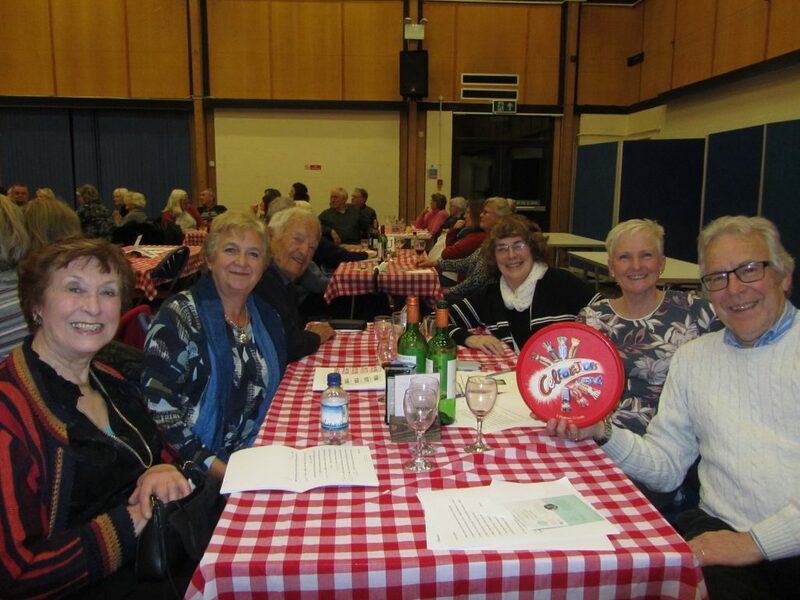 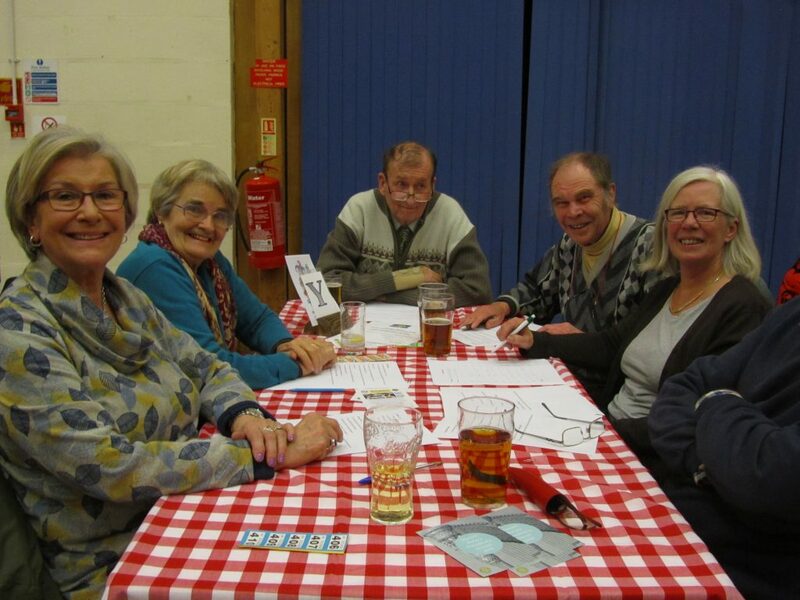 We had a great time on Friday evening, March 9th at the Hayling Island Community Hall. 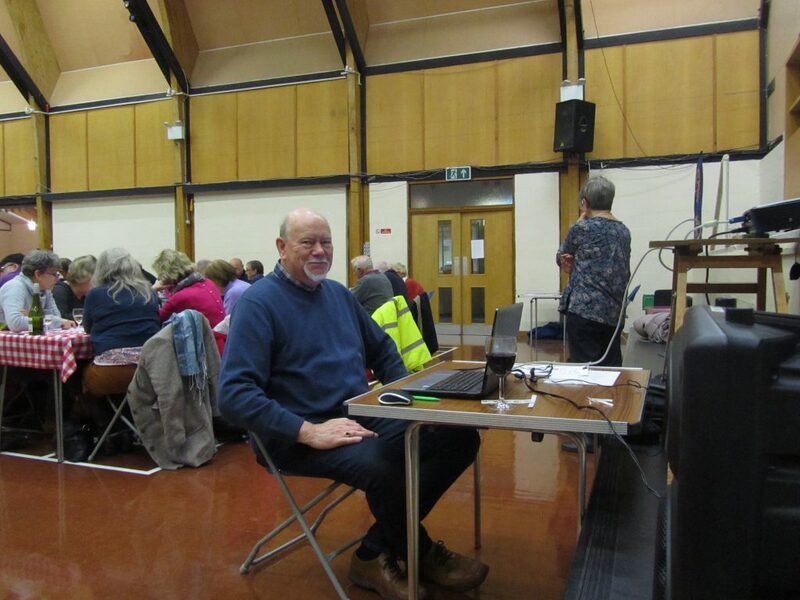 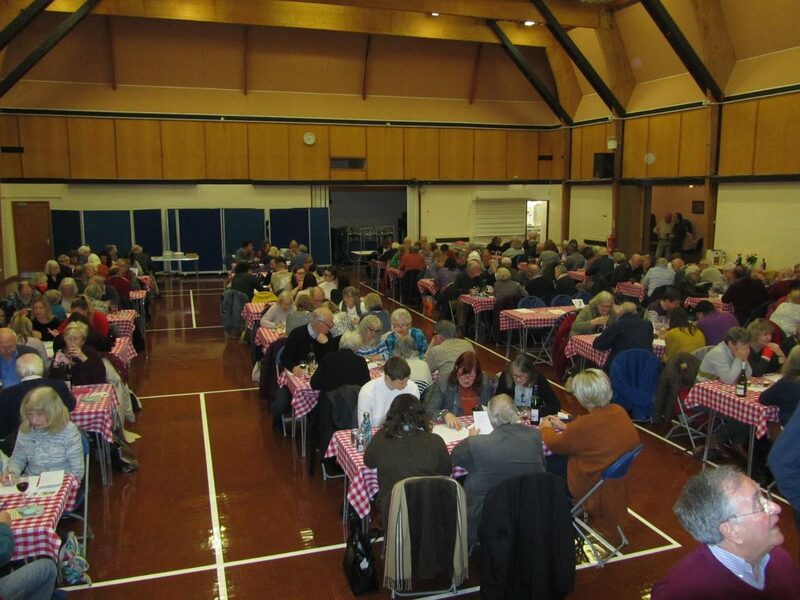 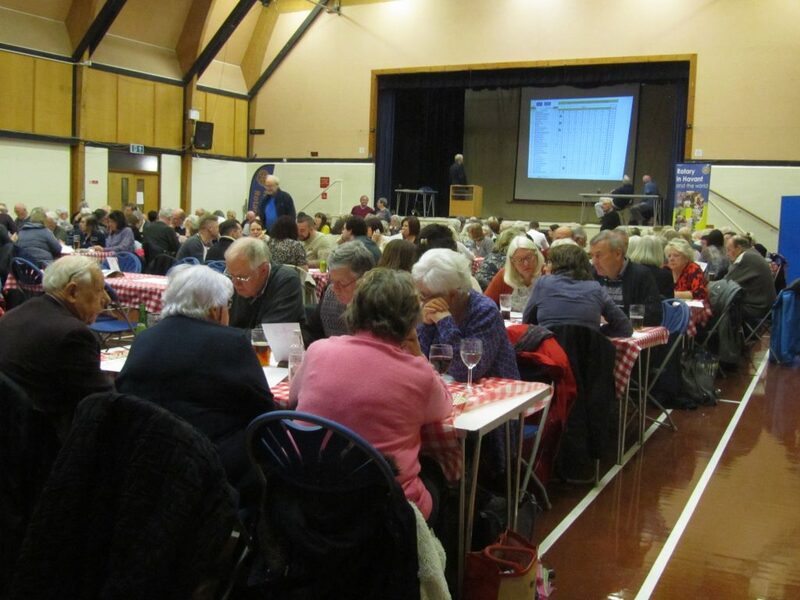 26 tables of 6 competitors sat down to 8 rounds of quiz questions composed by last year’s President Jackie Branson and a marathon picture round composed by Trevor Nightingale, who along with Colin Hunt, the prime mover behind the organisation, marked the answer sheets. 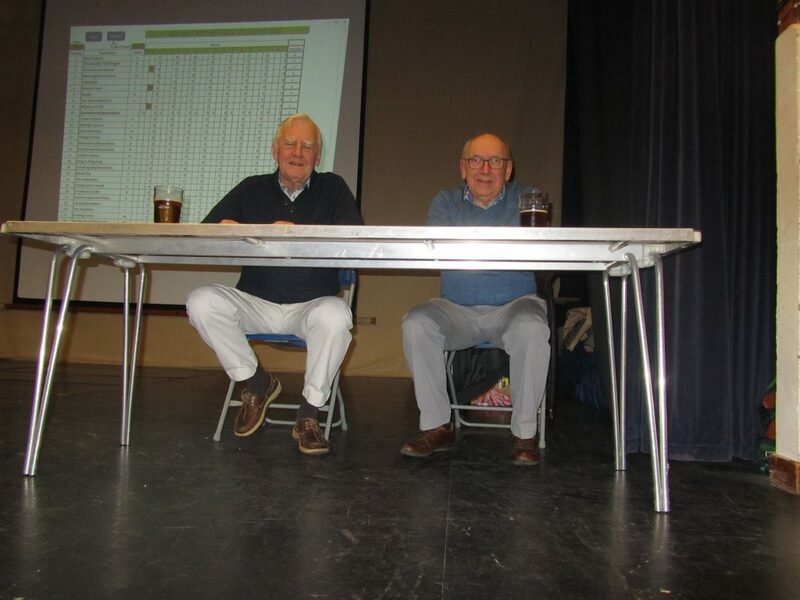 Viv Williams was our compere for the evening, and Stuart Moore entered the answers into our Excel spreadsheet to track the changing fortunes of the teams and project the running order onto the big screen. 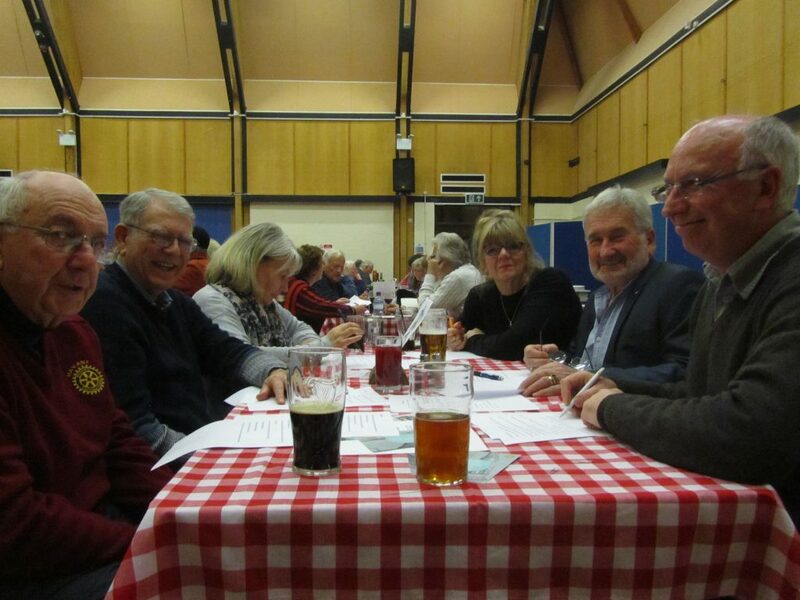 The result came down to the wire with ‘The Stationers’ and ‘Universally Challenged’ fighting for first place. 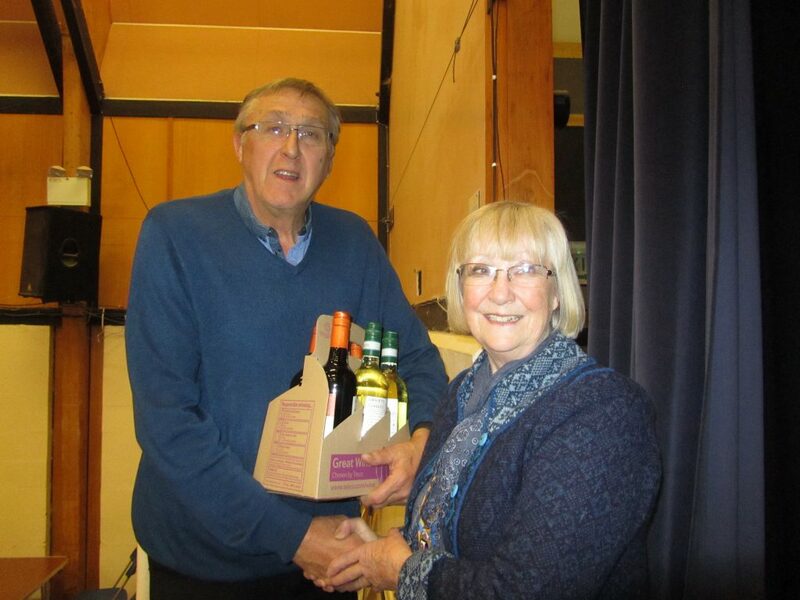 A final round tie was decided by the higher scoring team in the Marathon, ‘Universally Challenged’, who collected their prize of 6 bottles of wine from President Jenny Edgell. 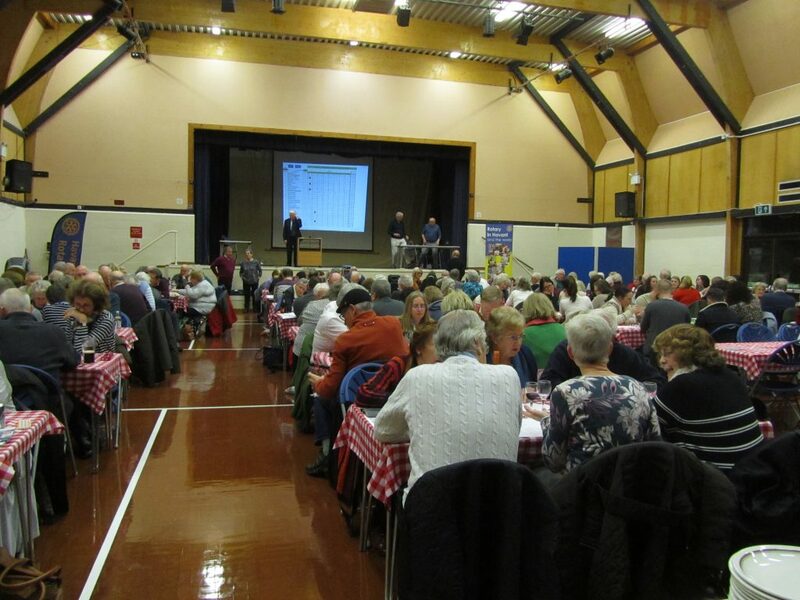 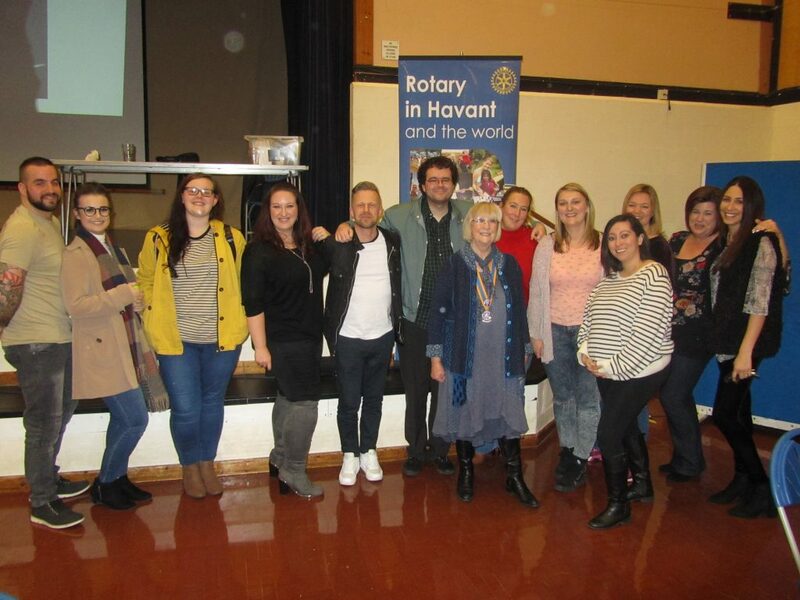 The interval was marked by delicious food prepared by Stan and Mary Pike of Northney Tearooms and served by other Rotarians. 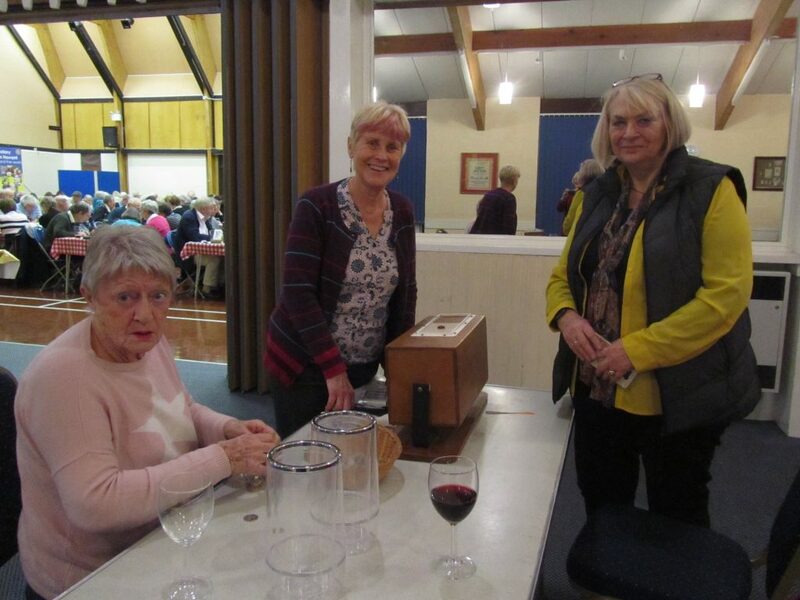 SDAS were keen participants and will be the beneficiaries of the money raised, which will include over £400 from the raffle. 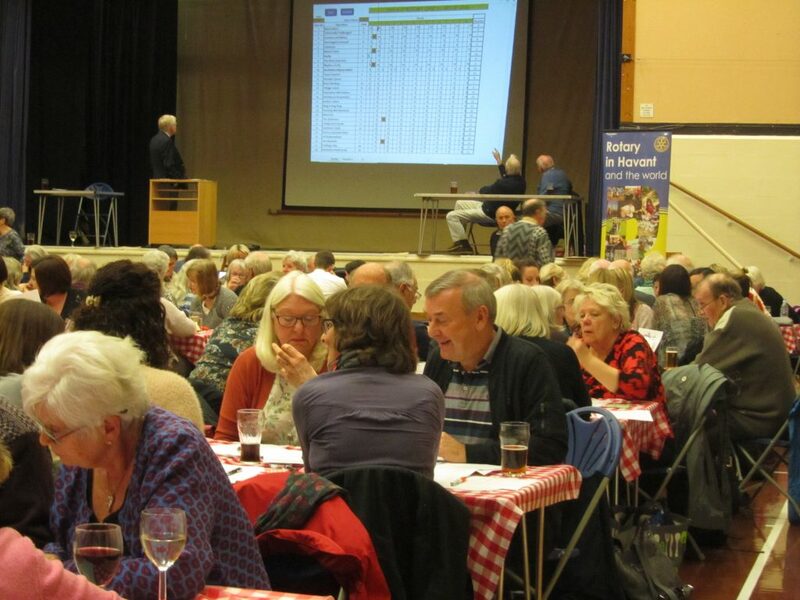 Thanks to all the participants, who contributed to an exciting and enjoyable night.